6 Piece baby kids gifts! 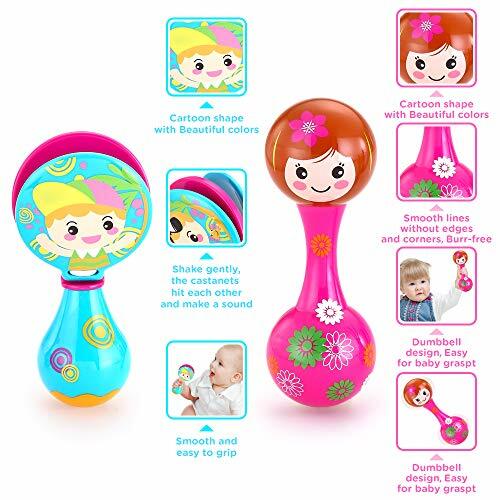 Musical instrument toy set including variety of musical toys, such as Timbrel, Maraca, Egg shaker, Shaker Hand Bells and Drum, offers different sounds and tones from different instruments. Musical education toys: A perfect inspirational set of toys to get kids moving, grooving, and feeling the beat, discover the potential and sensitivity in music . *All packing materials, such as tape, plastic sheets, film bags, tie wires and labels are not part of this baby band, and should be discarded for your children’s safety. *Toddler toys should be used under adult’s direct supervision. *The baby music toy set for newborn baby’s box contains important information, and should be reserved. Certificate: EN71,ASTM,6P,7PNON-TOXIC and SAFE: Our baby musical instruments for toddlers are made by first hand durable ABS. 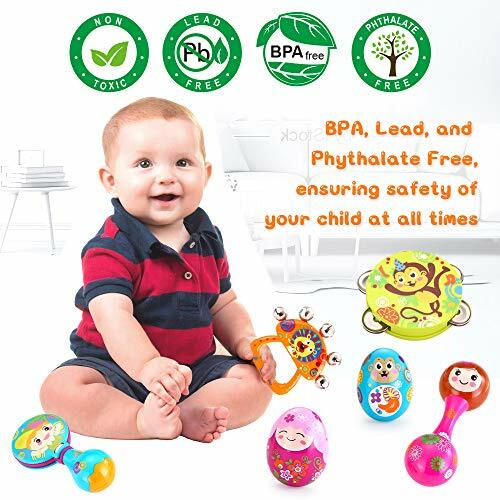 BPA, Lead, and Phythalate Free, ensuring safety of your baby at all the times. It’s a wonderful music toys for 1 year old. Smooth Edge Design: The kids musical instruments sets are all with smooth lines without edges and corners，Burr-free. 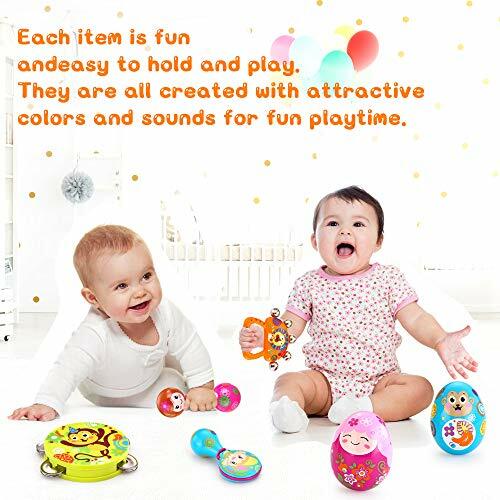 Be safe and reliable for little children.The best enlightenment Musical Toys for baby to start music. 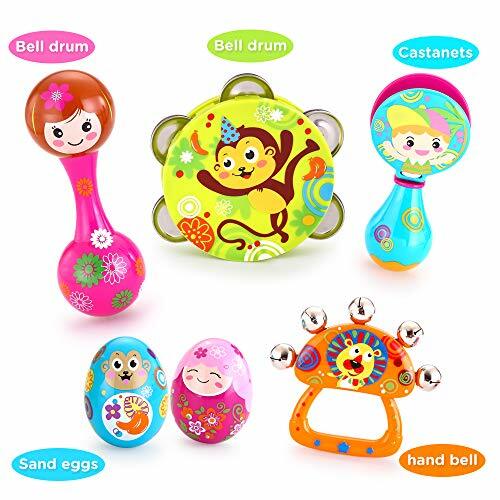 Complete Kids Musical Instrument Set: The baby rattle sets include 6 adorable toys, 1 Timbrel (Bell drum), 1 Maraca, 2 Egg shakers, 1 Castanets and 1 Rattle. Each item is fun and easy to hold and play. They are all created with attractive colors and sounds for fun playtime. Baby music toys: 3M+ toys for babies and toddlers; Great unisex gifts for kids. 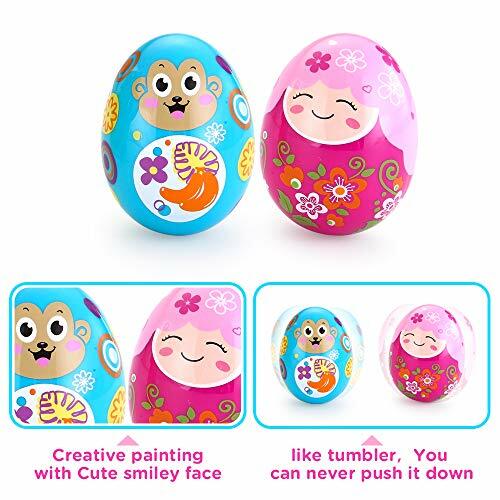 Ideal music toy to capture your baby’s attention, incite young musicians while bring them fun. 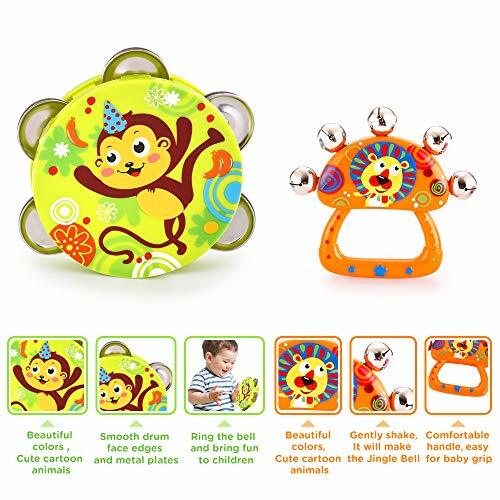 Improve Hand Strength: The toddler musical toys sets are designed like a dumbell, easy for little hands to grab, good for improving muscle strength on the hand.